to forego part of my usual rant. Zoo. "....what is this? Stupid, stupid, stupid. markhor at the Calgary Zoo, calling the incident preventable. to notify them was met with little concern. Vadodara, which was deserted several years ago. bathroom. I shut the entrance and waited for the rescuers to come." critically injured an animal care worker. being brought to Maryland Shock Trauma in Baltimore. about an hour outside Baltimore. anyone else, he said. The zoo is closed to the public for the season. orangutans she has looked after ever since the zoo opened. Indonesian resident, the exchange was disclosed in February 2006. Five silvery gibbons and several Javan langurs were sent to Howletts. getting them out of small cages. The artificial sea has beaches, with artificial waves up to 1.6m high. The Dai Nam Sea will be opened for the public this lunar New Year. hectare temple area, a square, food and game areas, and open zoo. contains historical exhibits and is used as a place of worship. Exhibits from various Vietnamese dynasties are on display there. say the cause was human error. location of a sensor," Paul Grayson with the Indianapolis Zoo said. proposed acquisition of giant pandas for Zoo Negara. Zoo Negara has the resources to sustain this animal for a long time. veterinarian and the pandas' special diet of bamboo. species, many of which are high-profile animals. The money should instead be channelled to manage the resident animals. of naturalistic exhibits and environmental enrichment. if completed as originally planned. three to four acres, it's inadequate." section of the park -- a refuge for rare gorillas. may be the largest in Southeast Asia. elephants remaining in Southeast Asia. elephants in the park, according to DWNP and WCS. is testament to the importance of the park in protecting wildlife,"
like a large tiger-striped dog and became extinct in 1936.
the new year with a renewed sense of optimism and determination. large private donation to remain open. (AZA) and People for the Ethical Treatment of Animals (PETA). 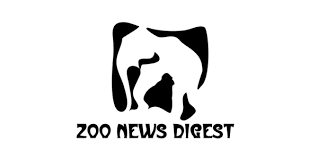 return for a $100,000 loan to cover The Zoo's operating costs. until the child is seven or eight years old. baby orangutan would only leave under a worst-case scenario. yearold with lifelong emotional scars." father to separate them at this point." Supreme Commander of the UAE Armed Forces. Arabian Oryx had disappeared from the area seven decades ago. Special Economic Zone Authority in April 2007.
transferred in the next two weeks. checkup and administering the necessary vaccinations. also an important part of the Arabian peninsula's heritage. for tuberculosis (TB) in neighbouring Tanzania. 30 minutes, whereas a doctor can test only 20 samples a day. Belfast Zoo is to become a "retirement home" for female elephants. joined by other elderly, non-breeding female elephants. Impenetrable National Park is smaller than previously estimated. the park. Now it looks like the number has dropped to 302.
of hunting have made them an endangered species. international endangered animal register to protect them. narrowly escaped becoming casualties of the 23-day conflict. very delicate state," said Abu Jameel Qassim, 42.
has become a hit with curious park visitors. making the water too cold for his comfort, The Sun reported Thursday. after flying from Birmingham to Frankfurt -- monkey business class. spokeswoman for the UK's Twycross Zoo told CNN. accompany him on his unusual journey. http://edition. cnn.com/2009/ TRAVEL/01/ 23/uk.ape. flight/? There's a new baby lemur at the Houston Zoo. escape at Combe Martin Wildlife Park, Devon. the thick wire enclosure in a fit of terror. been in any danger herself." so she chewed her way through. "We think something must have spooked her but we don't know what." incident must have happened overnight on Sunday to Monday morning. Feeding time at Jakarta's Ragunan Zoo: What's on the menu? six females and three babies share two hectares of land. other fruits at 8 a.m. The food is scattered about the enclosure. At lunch, they are fed again. This time peanuts are added to the mix. Milo, Ziko and Olive - have three zookeepers caring for them. The gorillas - Kimbo, Komu and Kihi - are even better-off. They share a one-hectare island. stomach illness triggered by stress. entering maturity with no female in sight. The three remaining apes have four meals a day, says one keeper. 100 and 150 kilograms, she adds. depending on their species, she says. But at lunchtime, there is no keeper in sight at the cages. "I noticed that someone did not give them food throughout the day,"
[keepers], and will increase supervision. " National Park here from Nandan Kanan Zoo in Orissa soon. (Independent Charge), Rajendra Shukla said in Bhopal. tiger pair at Nandan Kanan Zoo. still a little shy around visitors. mostly been limited to a keeper and veterinary staff. leopard population by loaning each other animals for breeding. reintroduce the species to safe areas in the wild. rocks and takes it into the back room, usually, to eat it." storms in a decade killed 14 people in France and Spain. falling trees cut power supplies across the region. asked residents to stay indoors. an exhibit area for the display of Asian rainforest animal species. with both Asian and African elephants. experience as useful and relevant to you as possible. smuggling in 10 young orang-utans and other wild animals. suspected the young orang-utans had been smuggled in. this month there was an increase of 10.
that there were none," Mr Wiek said. "So we would like the department to urgently investigate the case." included gibbons, langurs and tigers. tourist attractions such as Phuket and Ko Samui. Office, said he would send a team to investigate the case soon. conducted their business illegally, the animals will be confiscated. " about the wildlife trade, especially in restaurants. Alongkorn Mahannop, a veterinarian at Chitralada Palace. elephants, especially young calves along this border area. You still have time to sign up to give a talk or present a poster. conference venue, the Riviera International Conference Centre. www.corbynhead. com/, www.livermead. com/, or www.livermeadcliff. co.uk/. social events during the week. The deadline for submitting talks and posters is 31st January 2009 . The deadline for early registration is 28th February 2009 . The deadline for registration is 30th April 2009 .
behaviours, Enrich the lives of our animals and Evaluate the results. including the condition of enclosures located within the park. made a determination, subsequent actions will be identified as needed. bird keepers, trainers, and professionals within the zoo world. colony of little blue penguins. http://www.IAATE. org or feel free to email me for more information. the future we will try again to make such a conference happen. prepared 22 publications in the field of enrichment. approach to using enrichment as part of zoo husbandry programs. veterinarians working in this field. during the scheduled tea breaks. £120pp (twin) or £168 (single). hares and pikas), in a portable, readily-accessible format. "We know there will be a lot of interest in this important volume"
them through the pages of this dedicated issue. we have questions concerning your submission. The 4th Animal keepers Association of Africa (AKAA) Symposium. Monday 18th May - 21st 2009. Go to www.uweczoo. org or www.akaafrica. com for details.